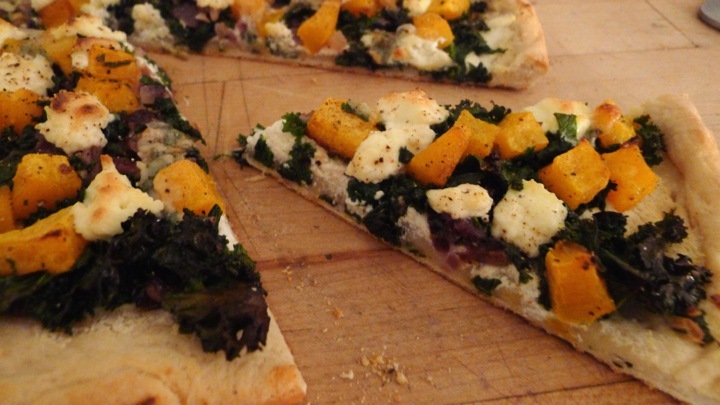 Pizza is one of my favorite things to make- the toppings are endless! And there’s something special about pulling a homemade pizza out of the oven. For me, it’s important to get the crust nice and thin, otherwise you feel like you’re eating a loaf of bread with stuff on top of it. Sometimes when I am feeling ambitious I will make my own pizza dough, but on a weeknight after work I tend to just grab a ball of dough from the grocery store, or better yet, I buy some at my local pizza place for a few bucks. Once you make your own pizza you’ll never go back to the boring stuff! Preheat oven to 350 degrees. 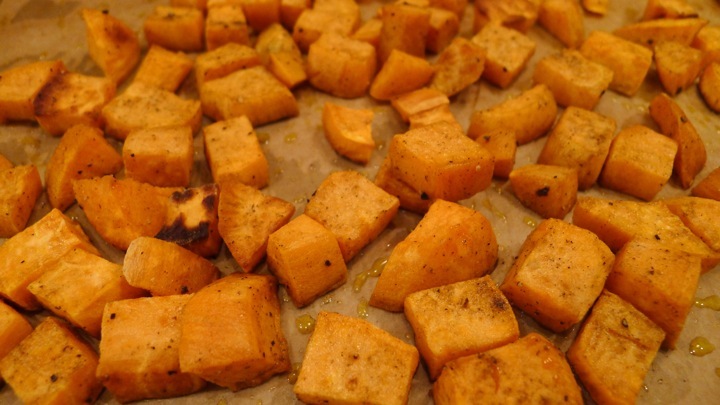 Place the squash on a baking sheet, and drizzle with olive oil, salt and pepper. Bake in oven for about 20 minutes or until fork tender. 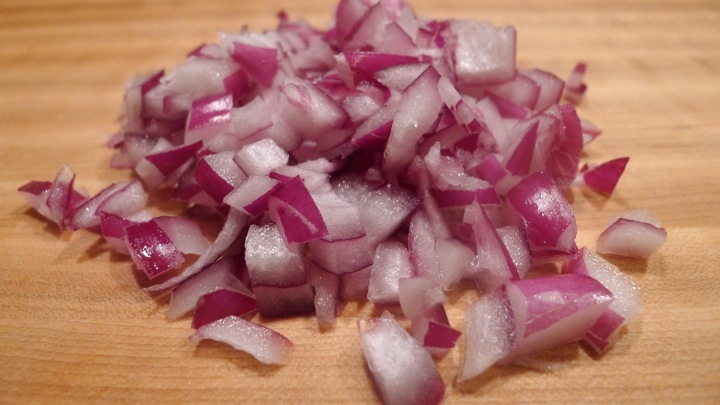 Next, add some olive oil to a pan and saute the garlic and onions until translucent. 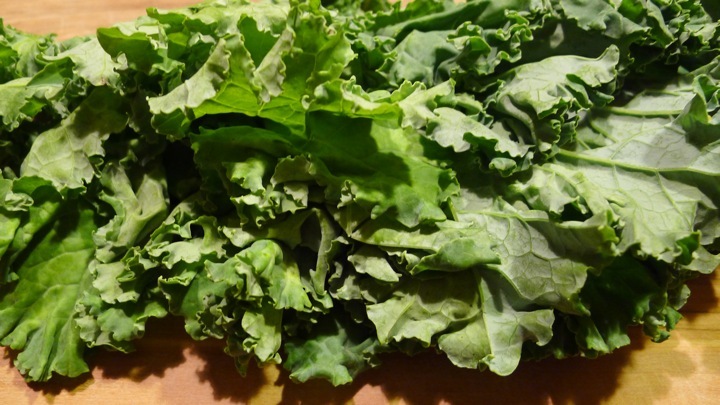 Add the kale and cook until wilted, about 5 minutes. 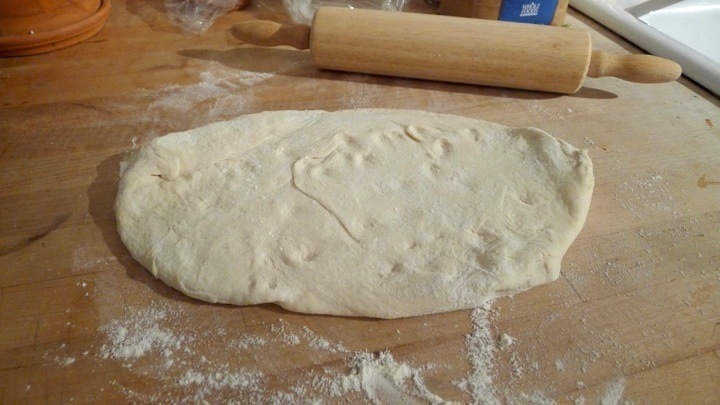 On a floured surface, roll out the pizza dough. 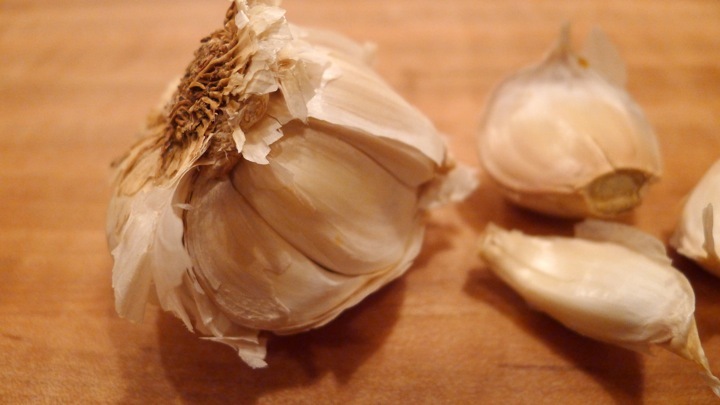 Place on a floured baking sheet and drizzle with a little olive oil. 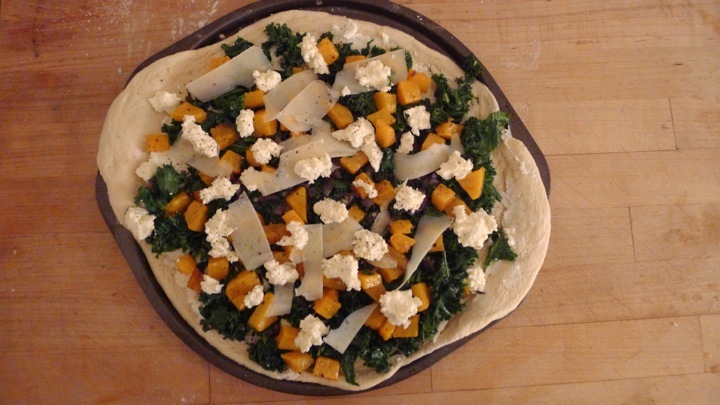 Spread the ricotta cheese all over the pizza, then add the kale mixture and the butternut squash. Top with some more ricotta cheese, Parmesan cheese, and salt and pepper. Cook for 25 minutes or until crust is golden. In the meantime mix together the honey and paprika. 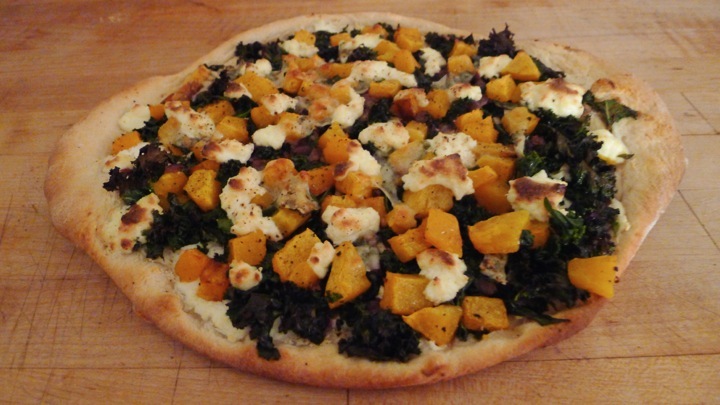 Let cool for a few minutes then drizzle the spiced honey over the top of the pizza. Alternatively, you can leave on the honey on table for guests to drizzle themselves!